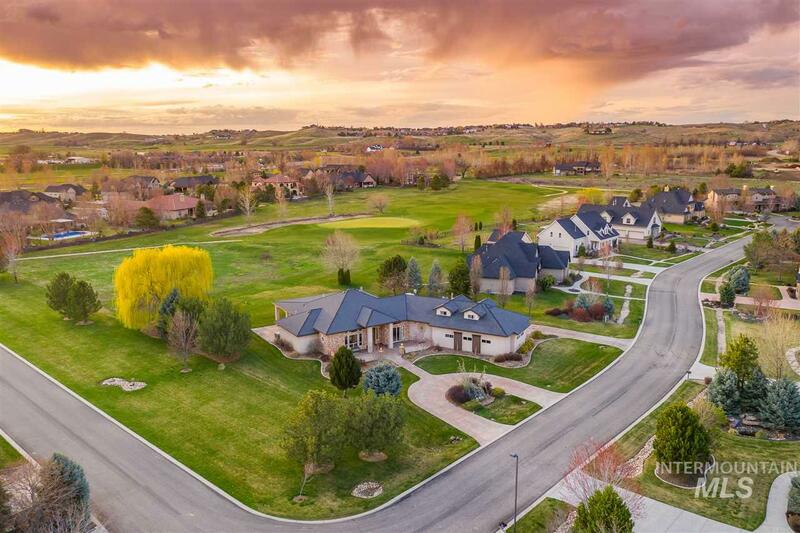 All Star homes currently listed for sale in Star as of 04/23/2019 are shown below. You can change the search criteria at any time by pressing the 'Change Search' button below. If you have any questions or you would like more information about any Star homes for sale or other Star real estate, please contact us and one of our knowledgeable Star REALTORS® would be pleased to assist you. 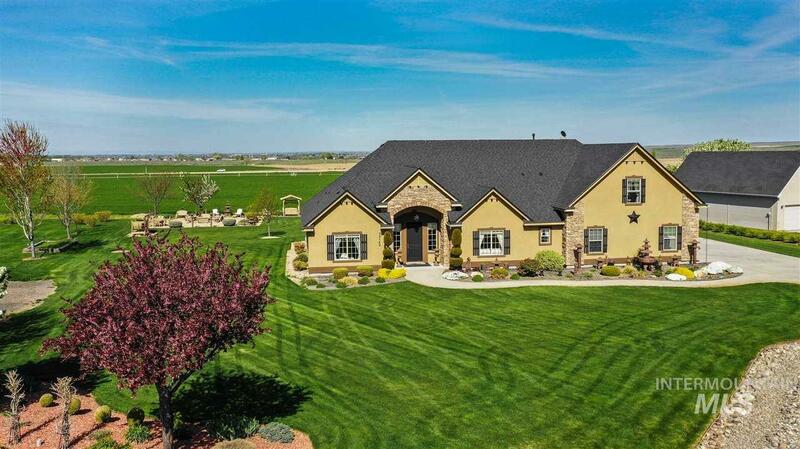 "Magnificent 1-acre estate just outside of Eagle, Idaho! Stunning craftsmanship, over 8000 sq ft. of living space. Architecture and design include a chef's gourmet kitchen, home theater, exercise room, 6 bedrooms, walk out basement w/ kitchen and game area, and lighted sport court. Garage has RV bay & shop. Imagine entertaining under the covered deck & patio while enjoying the unobstructed panoramic views! 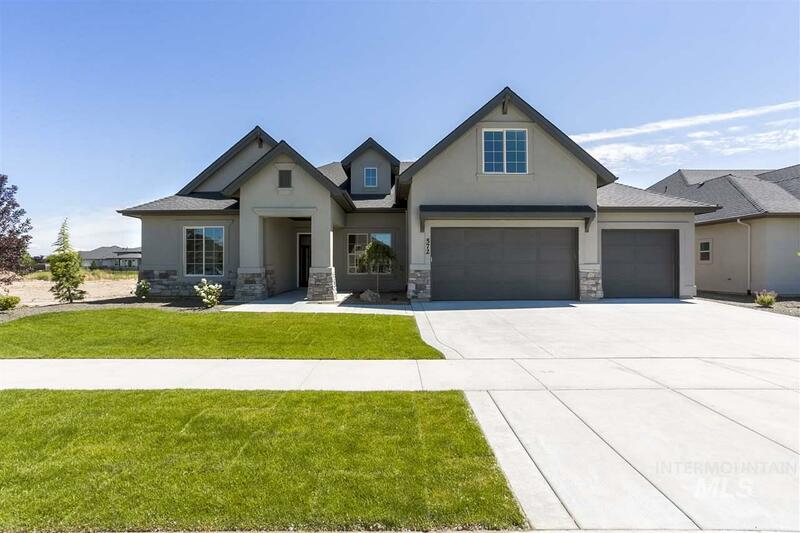 This is truly quiet country living with Eagle, Star and River Birch Golf Course all just m"
"Enjoy rolling hills & open space in Hillsdale Estates located in a quiet Cul-de-sac with outstanding views of the Owyhee Mt If you want privacy this home is what you are looking for! Beautiful knotty alder custom cabinets throughout the house, beautiful kitchen that opens to views and great room perfect for family and entertaining. Main floor living w/ spa like master suite. Chefs dream kitchen includes granite, pantry, gas cooking & double ovens. Beautiful fully finished walkout daylight baseme"
"Comprehensive plan provides for commercial use, Sewer runs along Hwy 44 in front of the property, Albertsons is coming soon across Hwy 44, Traffic Counts: Hwy 44- Can Ada Rd 8,500 (2017), 450 feet of Hwy 44 (State St.) frontage, Property to the East is also available"
"Luxury awaits you in this custom built residence. Nestled behind the 8th hole on River Birch Golf Course, on a corner lot, in the prestigious & highly coveted Trellis sub. Spacious & well lit, bountiful 12' ceilings, hickory floors. Giant Chef's kitchen boasts double ovens, granite counter tops, oversized island. Split floor plan, master enjoys a double sided fireplace, jetted tub, walk in closet. Jack & Jill guest rooms. Entertain guests outdoors on an almost 2,000 sqft. covered & lit patio wit"
"Great new home that has been freshly remodeled. This property has it all. Step out back and enjoy the covered back patio and patio swings, overlooking the beautiful pool, shaded by mature landscaping, and great views. Inside features an open floor plan, granite tops with a large kitchen, high ceilings, large bonus room, tons of storage, lots of rooms for the family or guest and the list goes on. This property also features a detached 1085 sqft shop with auto door and 2 storage rooms." "Breathtaking views of Treasure Valley from both levels of this upscale home, full walk-out basement; gas fireplaces; 2 family rooms, formal and informal dining and visiting areas; gourmet paradise; professionally landscaped for easy maintenance; covered porches, energy upgrades; spacious laundry/craft area; walking trails; with lots of elbow room, quietude and privacy; storage galore; oversize garage with cabinets; upgraded filtration system; well-priced, rare find; move-in ready; must see." "Scenic waterfront living with all the luxuries you've been dreaming about. Like-New turnkey home with outdoor kitchen, Hunter Douglas electronic blinds, private office & dream kitchen with built in wine fridge & top of the line Thermador appliances. 45 ft RV Bay garage with epoxy floors & extra large mechanical room for storage. Fully fenced North facing yard features flagstone pathways. Extras like transom windows, coffered & trimmed ceilings, & quartz counter tops make this home feel better th"
"Breathtaking waterfront property, built by James Clyde Homes! Impeccable design & quality craftsmanship throughout. 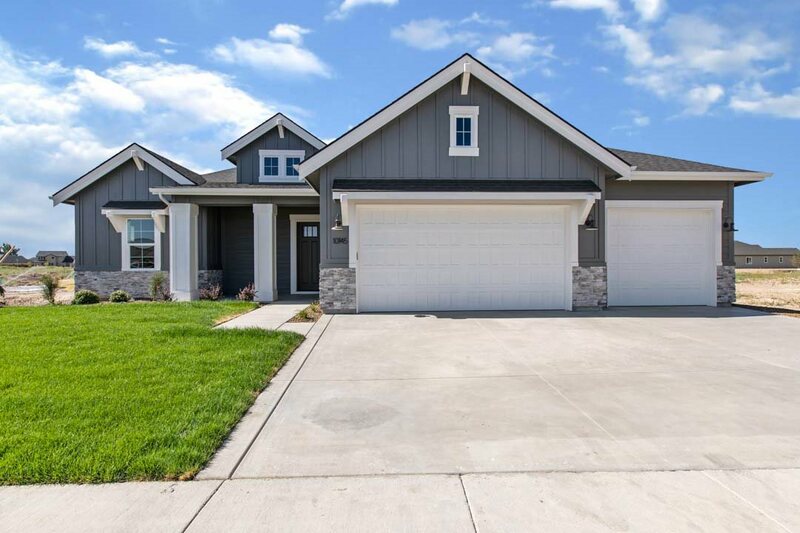 High end finishes include extensive hardwood, sleek double ovens, Sharp microwave drawer, custom cabinets,pull out cabinets spice racks, quartz countertops, epoxy garage floor, roll down patio shades, stellar landscaping w/concrete curbing & so much more! Oversized garage just over 1,350 sq. ft. with approximate 45' deep bay and 11' tall door! Tons of storage! This home & view are"
"The Garrick Joseph by James Clyde Homes! Versatile plan with 3 bedrooms on main level and large bonus w/ walk in closet and full bath upstairs that can be used as a bedroom, and to top it all a huge secret room! As usual, James Clyde went all out on this home with Thermador appliances, extensive hardwood floors and lots of trim! Large covered patio overseeing the Boise mountains. Extra large 3 car garage with a large storage area! The home will be gone if you blink! Full landscaping. Photos simi"
"Majestic hilltop Estate with breathtaking panoramic views of Mountains and sunsets.The gourmet kitchen features SS appliances,custom granite island, soft-closed cabinets,double oven,gas range and wet bar or coffee bar. 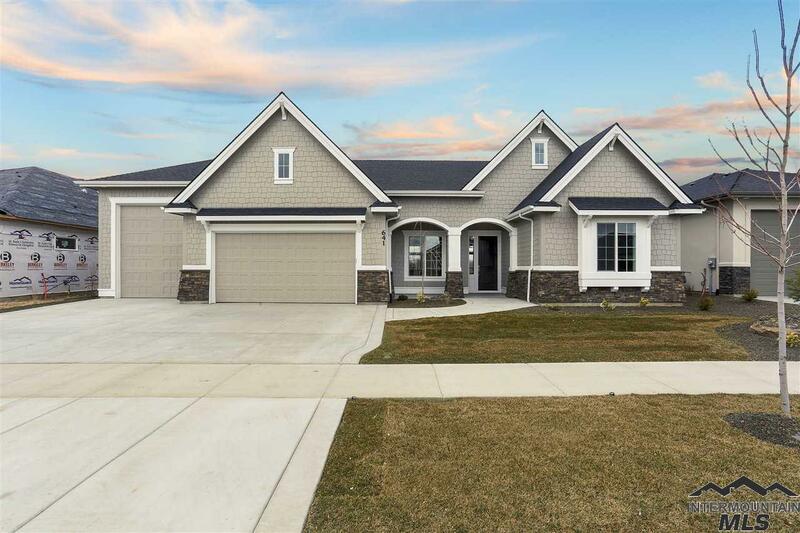 Open floor plan with beautiful trim work in this gorgeous 5 bed 3.5 bath with Master on main level that has a separate sitting room.Upstairs guest or mother-in-law suite with full bath and living room.Brand New Roof March 2019 with transferable warranty. Additional features in doc"
"Country setting w/ views of Bogus on 9.24 irrigated acres 16 miles west of Boise. Vaulted ceilings, 3 bed w/ large house pantry, built in BBQ, covered front & back decks, east facing back yard, central vac & mature landscaping. TRAINING/ BOARDING HORSE FACILITY w/ 2 round pens, hay storage, tack room, 6 outside covered stalls w/ H2O & runs. 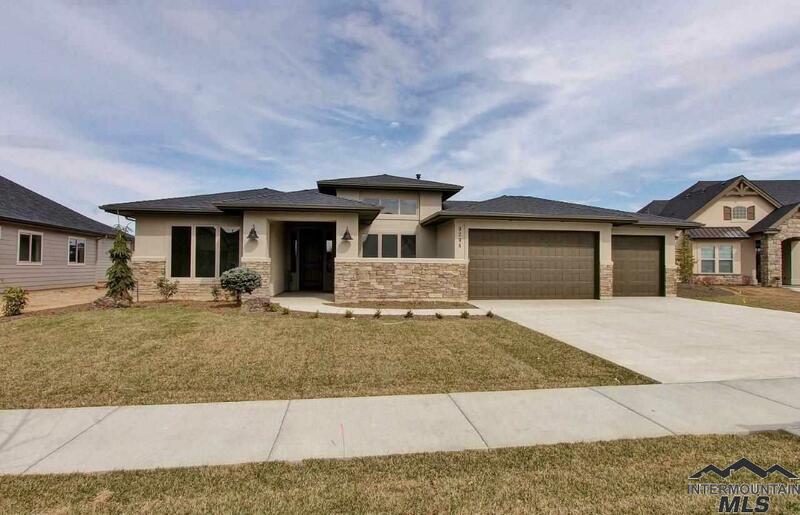 4 open stalls w/ H2O, 48x84 inside covered riding arena w/ underground sprinklers in barn w/ 9 stall 12/12 w/ runs & water, 100x200 outside arena & 6 acres o"
"The Ryker Chamberlin is everything you have come to expect from James Clyde Homes, from the incredible garage with separate mechanical room to the large covered patio overlooking a tranquil lake, and everything in between! Thermador appliances including double ovens and range top, extensive hardwood floors, Quartz in kitchen and all baths, huge walk in master closet. The 10 ft. ceilings and 8 ft. doors combine for an elegant and outstanding feel!" "The Hailey A2 model by Emmett Price Homes. This home is highly amenitized! Granite and Quartz counter tops, large island, double ovens, microwave, gas Thermador 6 burner cook top, pantry, hardwood flooring, SS appliances & garden sink. Gas fireplace in the 20'X16' great room. Spacious master suite, walk-in-shower, soaker tub, large walk-in-closet w/direct access to laundry room. Den can be used as 4th bedroom. Far too many amenities to list! Please ask for a copy of our amenity list. Photo simi"
"Presenting the Carston Lynn with Boat Bay by James Clyde Homes. Impeccable design & quality craftsmanship throughout. Extensive hardwood, sleek SS appliances, microwave drawer, custom cabinets, quartz countertops, epoxy garage floor and so much more! Oversize garage is 1,351 sq. ft. featuring a boat bay which is approximately 45' deep with a 11' tall door. 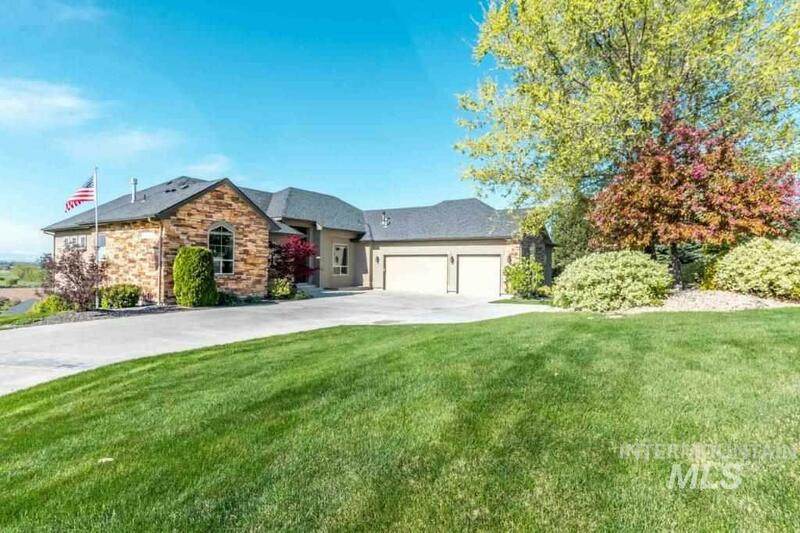 Full landscaping and near Heron Lake, Boise River and tons of walking trails." "Presenting the Sariah Chase with Boat Bay by James Clyde Homes. Impeccable design & quality craftsmanship throughout. Extensive hardwood, sleek SS appliances, microwave drawer, custom cabinets, quartz countertops, epoxy garage floor and so much more! Oversize garage is 1470 sq. ft. featuring a boat bay which is approximately 48' deep with a 12' tall door. 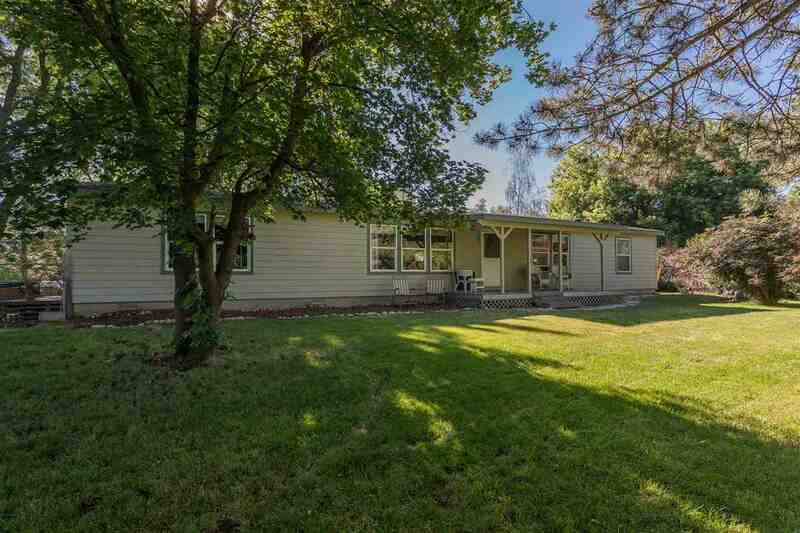 Full landscaping and near Heron Lake, Boise River and tons of walking trails." 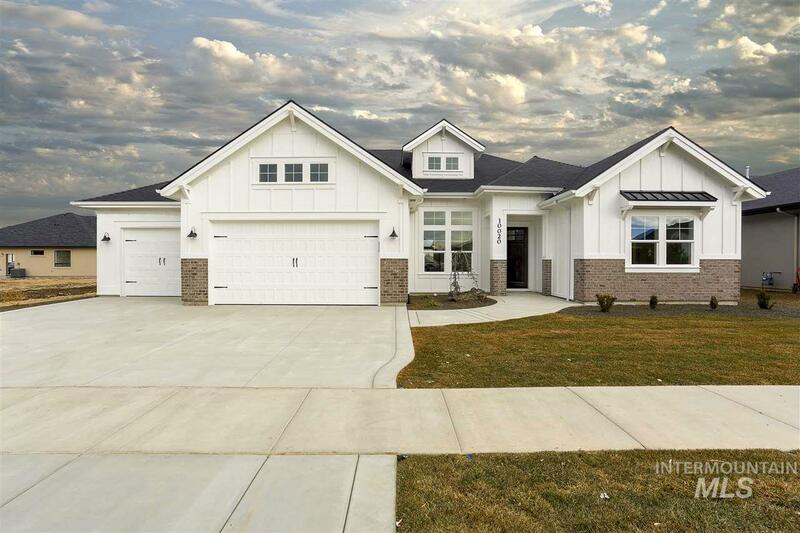 "Berkeley Building Company presents the Albany, 2019 Spring Parade Home! 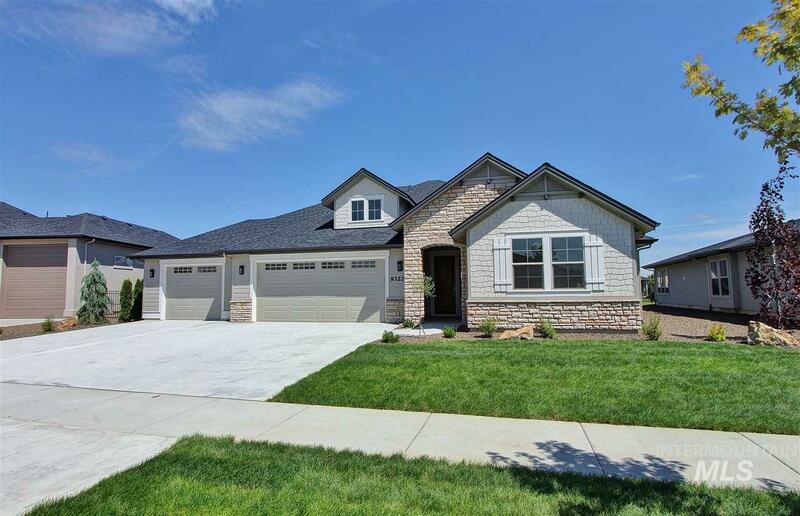 Impeccable design w/quality construction & craftsmanship throughout! 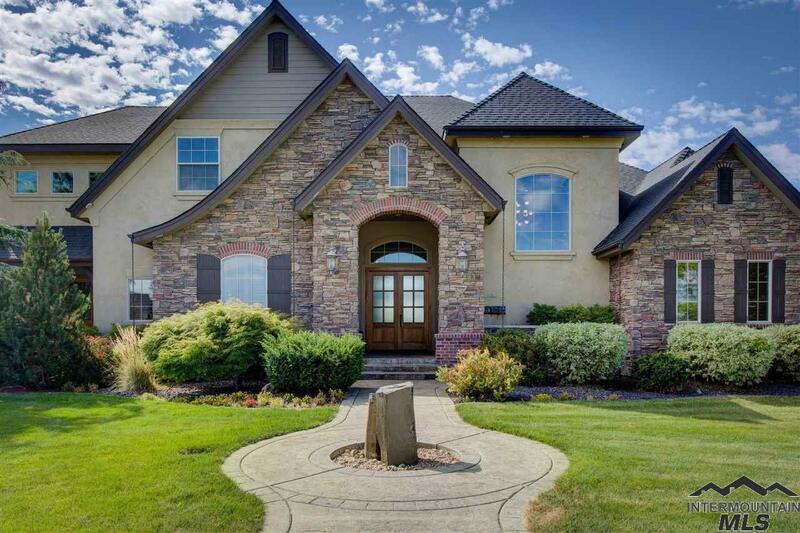 This stunning home backs up to a lake providing an incredibly tranquil setting from many different rooms; maximizing the view w/expansive sliding glass doors & large windows. 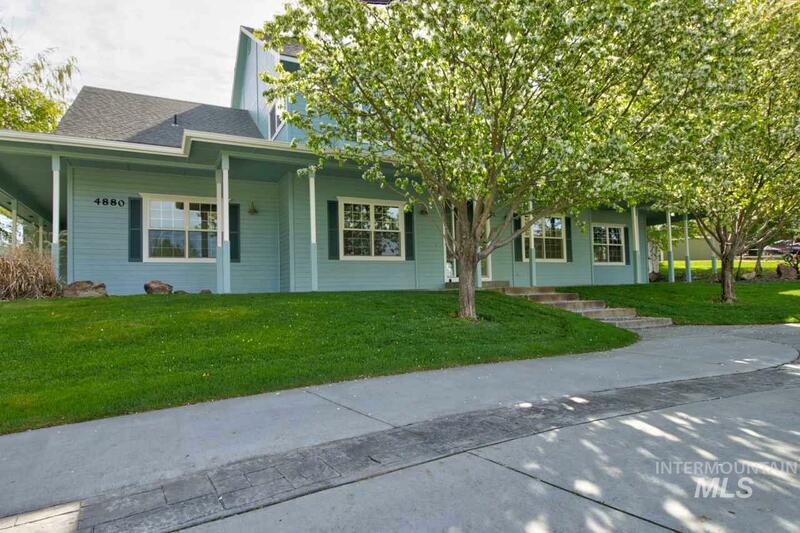 Home features a beautiful master retreat & master bath w/large walk-in closet connecting to the laundry. Spacious bonus room with amazing view of the lake! 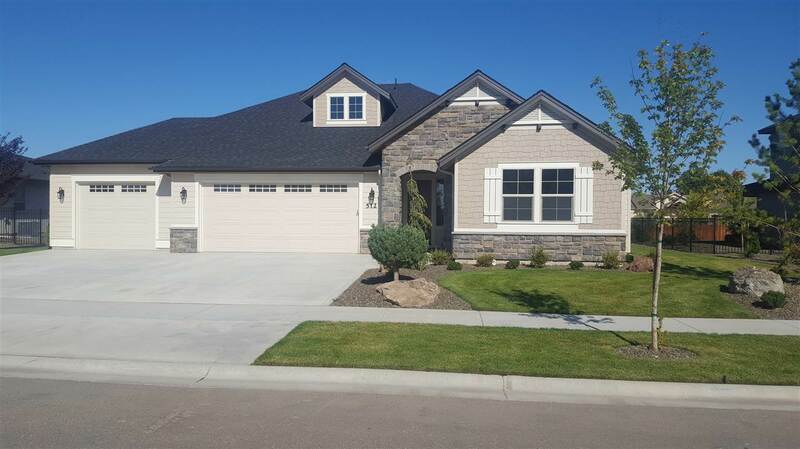 Includes incredible outdoor "
"The Hailey A2 model by Emmett Price Homes. This home is highly amenitized! Granite and Quartz counter topes, large island, double ovens, microwave, gas Thermador 6 burner cooktop, pantry, hardwood flooring, SS appliances & garden sink. Gas fireplace located in the 20'X16' great room. Spacious master suite, walk-in-shower, stand alone soaker tub, large walk-in-closet w/direct access to laundry room. 4th bedroom can be used as a den. Far too many amenities to list! Please ask for a copy of our ame"
"The expanded Asciano by Shadow Mountain, featuring an entry courtyard that provides you with an outstanding additional outdoor space. 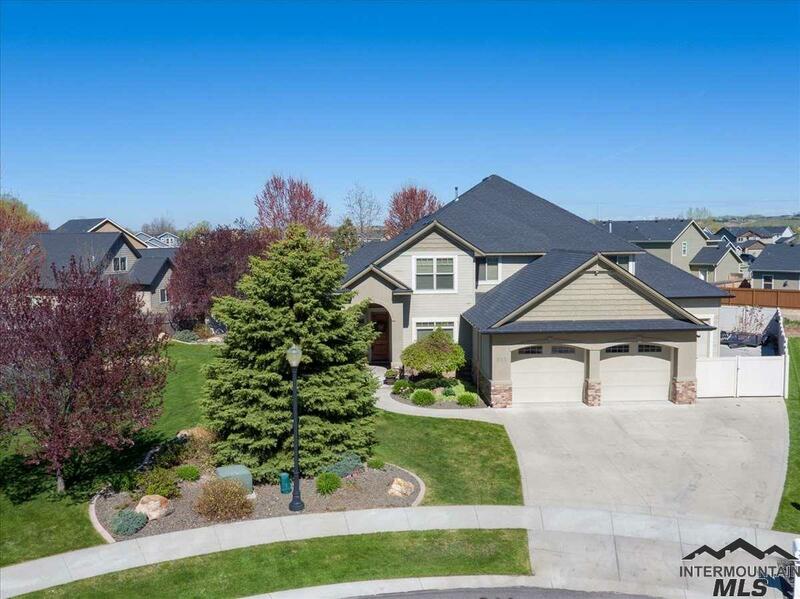 Quality is evident throughout this home featuring impeccable finishes such as custom cabinetry, SS appliances, quartz/granite counters, expansive tile and hardwood, and so much more. This beautiful home backs to the Lawrence Kennedy Creek and has a North facing backyard." "Custom home located at end of cul-de-sac! 6 Bedroom (or 4 plus main level office w/ access to full bath + upstairs bonus rm). Spacious kitchen features slab granite counters & island w/ breakfast bar & prep sink, stainless appliances (brand new dishwasher), double oven, pot filler faucet over 5 burner gas range & pantry. Soaring 2 story stone gas FP in great room. All bathrooms have tile showers, tile counters & floors. Lavish main floor master w/ sitting area & gas FP. PLEASE CALL AGENT FOR MO"
"Gorgeous waterfront custom home with an open and spacious floor plan. 3 bedrooms + office. Oak hardwood, granite, quartz, custom built cabinetry, extensive tile, fireplace, gourmet kitchen, stainless steel appliances and barn doors. HUGE master suite with dual vanities, tile walk-in shower and soaker tub. Covered patio, full landscaping and RV garage. Enjoy the view of the lake from your covered back patio. Phase 3 has a community Pool. RV bay is 16x49. Choose your colors if you hurry!" "The Bennett by Coleman Homes is a gorgeous brand new single-story home with a upstairs bonus room. The entry opens next to the den followed by the formal dining room. The large kitchen faces the great room and cozy fireplace. The master suite has a huge closet, soaking tub, and a full tile shower. Don t forget the 4-car garage to top of the list of impressive features. Front yard landscape to be completed by builder." 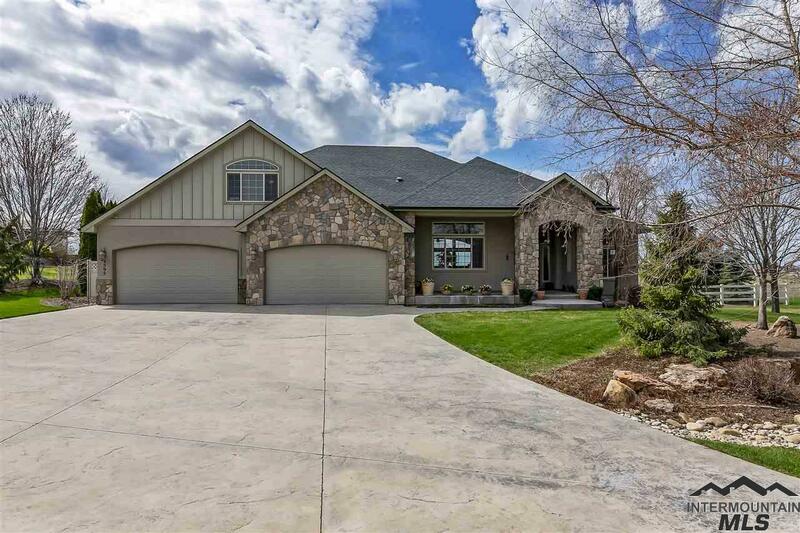 "The Henry's Fork by Big Springs Construction has everything! The open kitchen is an entertainer's dream with huge island, massive pantry, double ovens & gas cook top. The great room boasts a full stone fireplace, custom cabinetry, ceiling detail & large double sliding door that allows the living space to flow right onto the large covered patio. Amazing master suite, large 2nd master & a dedicated office that could be a 5th bedroom. Home is complete with 43' deep, 13.5' tall RV bay. Photos simila"
"The Alameda by Berkeley Building Co; impeccable design with quality construction & craftsmanship throughout! This stunning Hamptons styled, single-level home backs up to a lake providing an incredibly tranquil setting. The open floor plan concept maximizes the lake view with expansive sliding glass doors for indoor-outdoor living. Master retreat with access to the laundry room & mud room configuration. HERS rating and conditioned crawlspace provide an energy efficient home." "Peaceful & calming water views! Gated community, pond, and view of waterfall. This is a beautiful floor plan from Cambridge Homes - single level w/upstairs large 3rd bedroom or bonus room or flexible space with own bathroom & closet. Features 2 beautiful master suites on each wing of the house. Spacious den/office. Quality amenities throughout the home. Alder cabinets stained Barnwood in kitchen and bathrooms, hardwood floors, tile in master bath, large kitchen island and double pantry, stone fi"